Event 4674 indicates that the specified user exercised the user right specified in the Privileges field. Some user rights are logged by 4674 - others by 4673. Still other, "high-volume" rights are not logged when they are exercised unless you enable the security option "Audit: Audit the use of Backup and Restore privilege". Unfortunately, Microsoft has overloaded these privileges so that each privilege may govern your authority to perform many different operations and which privilege is required for which operations is not well documented. Therefore seeing that a privilege was exercised doesn't really tell you much. In Win2008 this has been improved with better information in the Server: and Service Name: fields. In general though, I still classify these events as noise. Microsoft admits: "These are high volume events, which typically do not contain sufficient information to act upon since they do not describe what operation occurred." 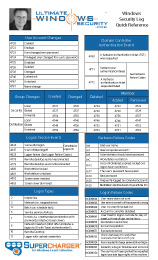 Note: 4673 and 4674 do not log any activity associated with Logon Rights such as the SeNetworkLogonRight. Do not confuse events 4673 and 4674 with events 4717 and 4718 which document rights assignment changes as opposed to the exercise of rights which is the purpose of events 4673 and 4674. The ID and logon session of the user that excercised the right. These fields help you narrow down what the user exercised the the right for. Object Server: Seems to always be "Security"
Object Type: Seems to always be "-"
Object Name: Seems to always be "-"
Start a discussion below if you have information on these fields! These fields tell you the program that exercised the right. Process Name: identifies the program executable. Start a discussion below if you have information on this field!